Montreal’s forward march towards becoming one of the country’s most active housing markets continued unabated in January, marking the 47th straight month of sales growth. New data from the Quebec Professional Association of Real Estate Brokers (QPAREB) revealed that the Montreal CMA saw a 15% year-over-year increase in sales last month, up to 2,976 residential transactions. This is despite plex activity declining by 3%, as robust sales in the single-family and condo markets (which both had generous increases of 17%) more than made up for the shortfall. Demand is showing no signs of stopping, as the number of active residential listings in the CMA fell by 16% annually last month, down to 20,873 properties for sale. As for benchmark prices, single-family homes went up by 3% year-over-year to reach $316,000, while condos had 2% growth to settle at $248,271. The average price of plexes also went up by 4% during the same period, reaching $515,000. 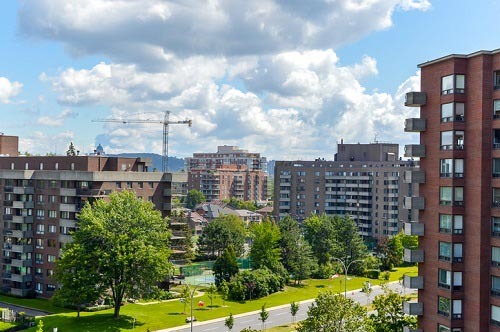 The figures coincided with the observations of professional services firm Shupilov Real Estate, which reported in late January that Montreal has moved towards being a highly desirable sellers’ market. Sustained home price growth and an intensified level of competition were cited as the major factors at play. “This is especially true in the single family home segment, where bidding wars are increasingly common and offers are more likely to be accepted above the original asking price,” Shupilov’s noted. The analysis found that the highest sales-to-new-listings-ratios (SNLR) in Montreal happen to be in locales with the most in-demand single-family homes. Centris data covering Q4 2018 showed that the city’s leading sellers’ markets for single-detached residences are Pointe Claire (SNLR of 149%, median price of $454,000), Cote-des-Neiges-NDG (SNLR of 112%, median price of $750,000), Kirkland (SNLR 86%, median price $590,000), Ville Saint Laurent (SNLR 84%, median price $595,000), and Verdun / Île des Soeurs (SNLR 82%, median price $790,000).